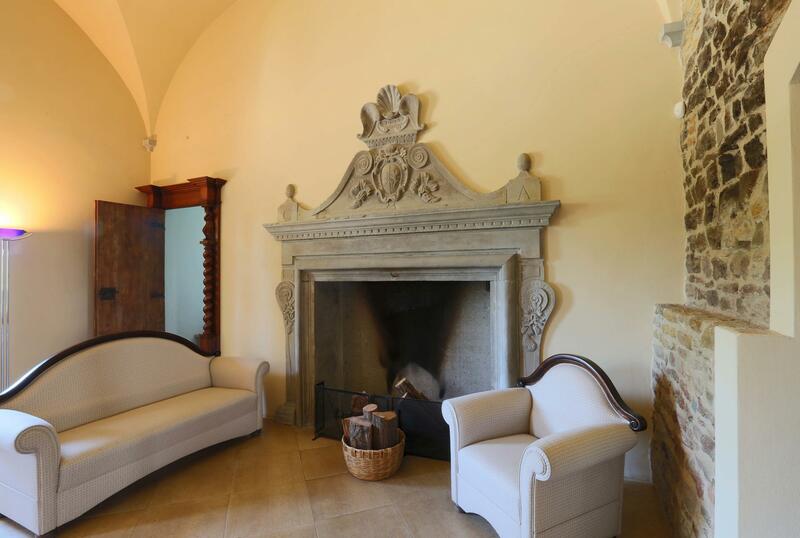 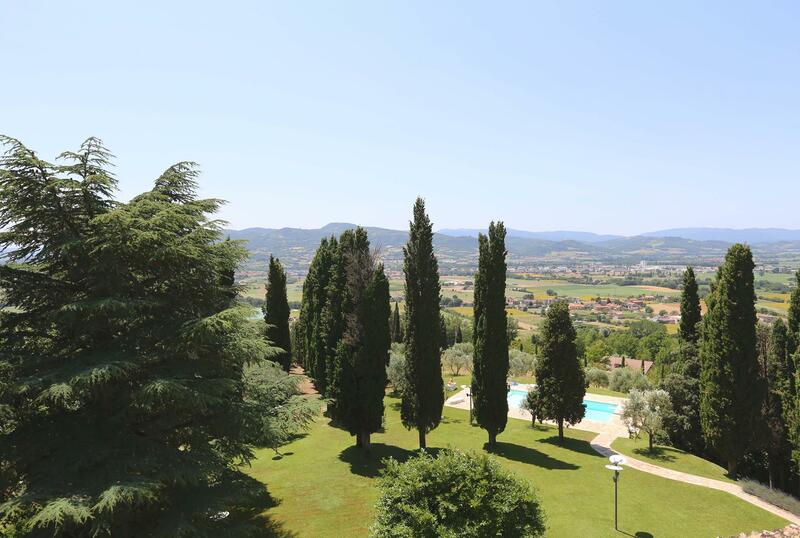 Gorgeous Italian villa for sale in Umbria close to Citta di Castello. 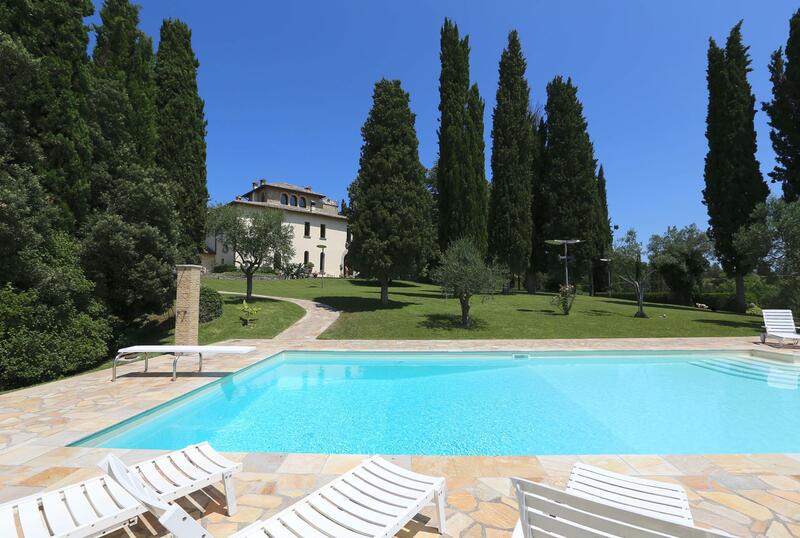 10 bedrooms, private park, pool and panoramic view. 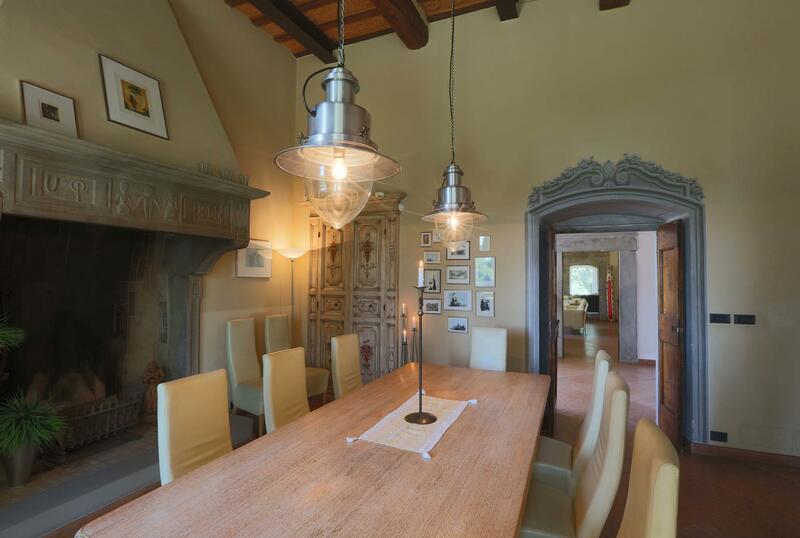 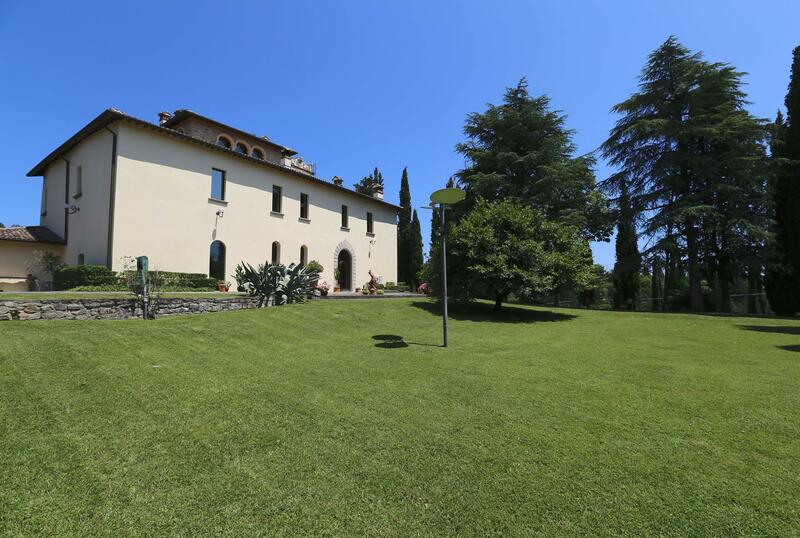 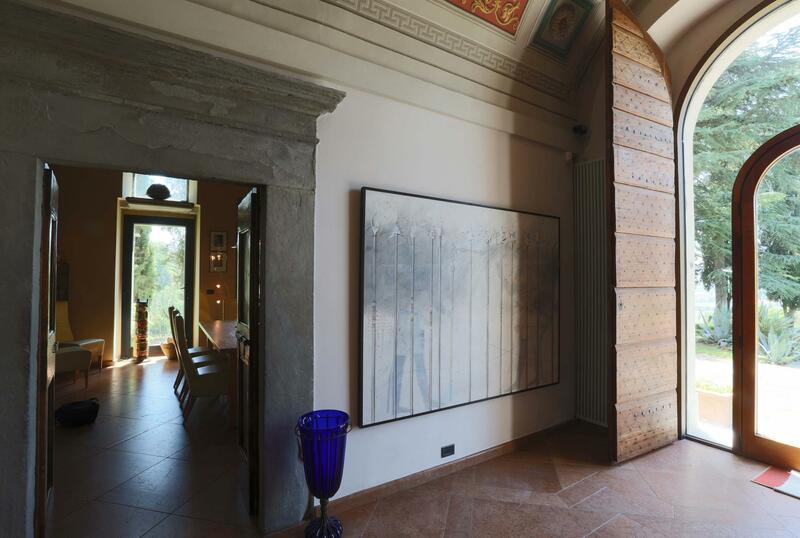 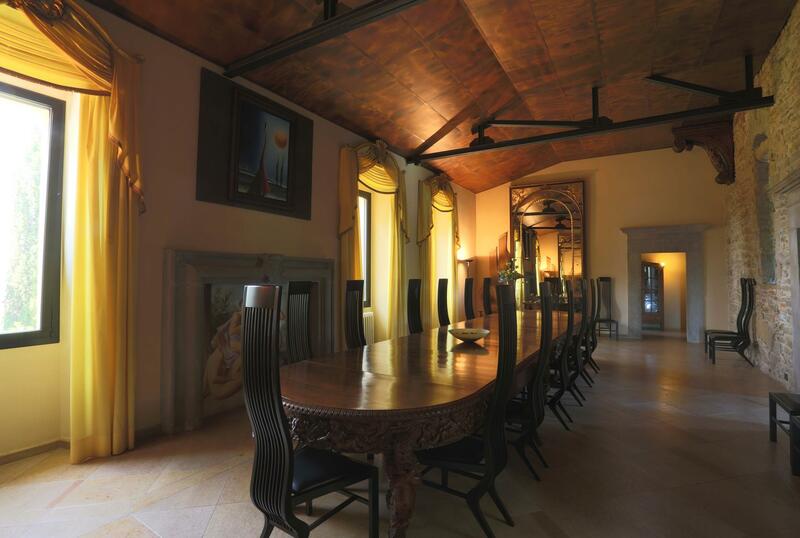 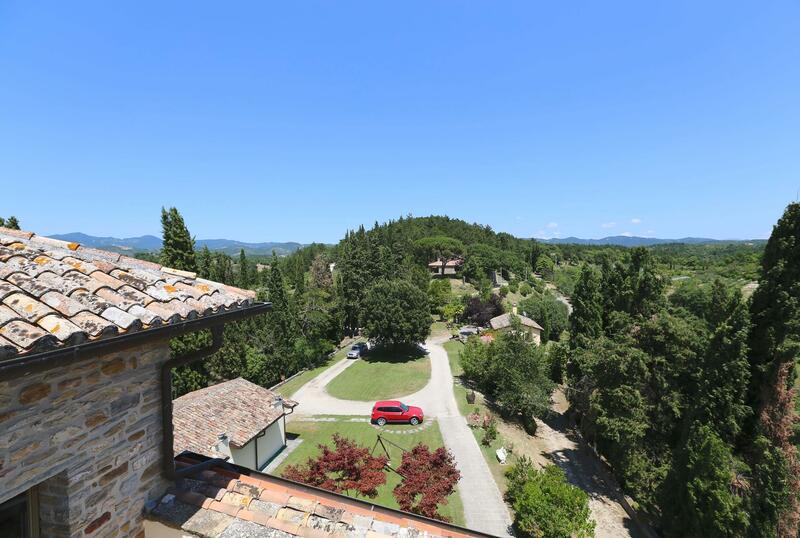 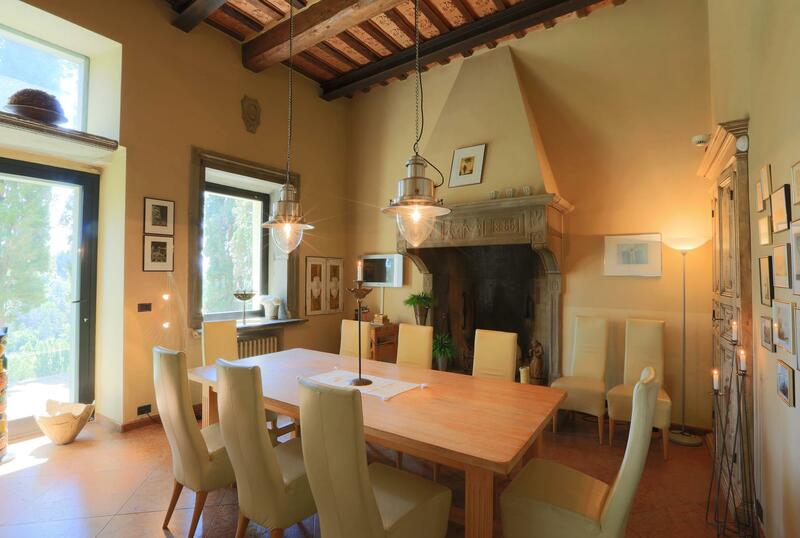 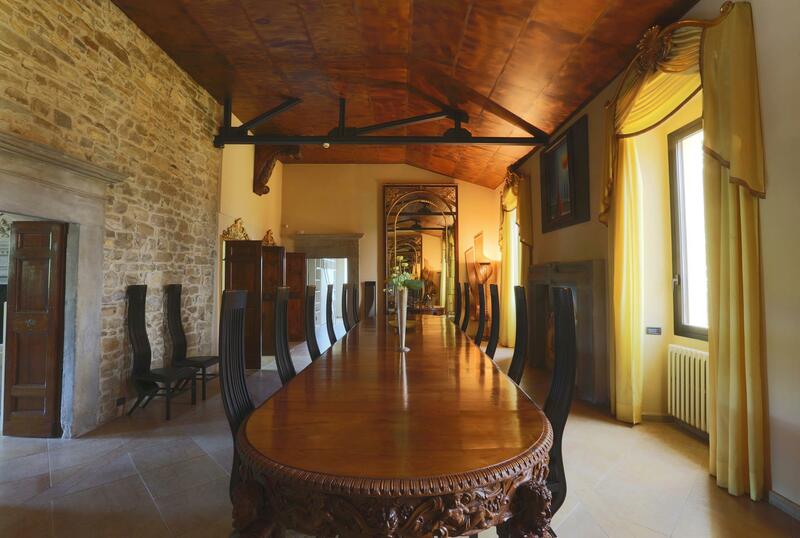 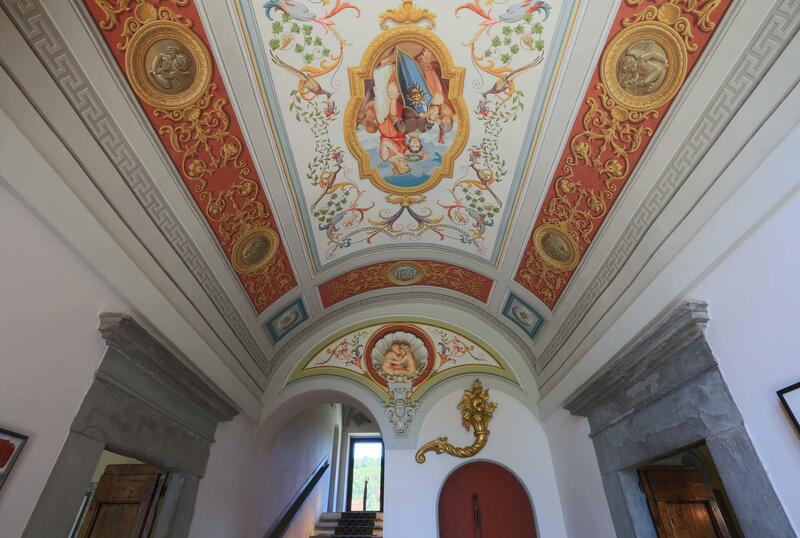 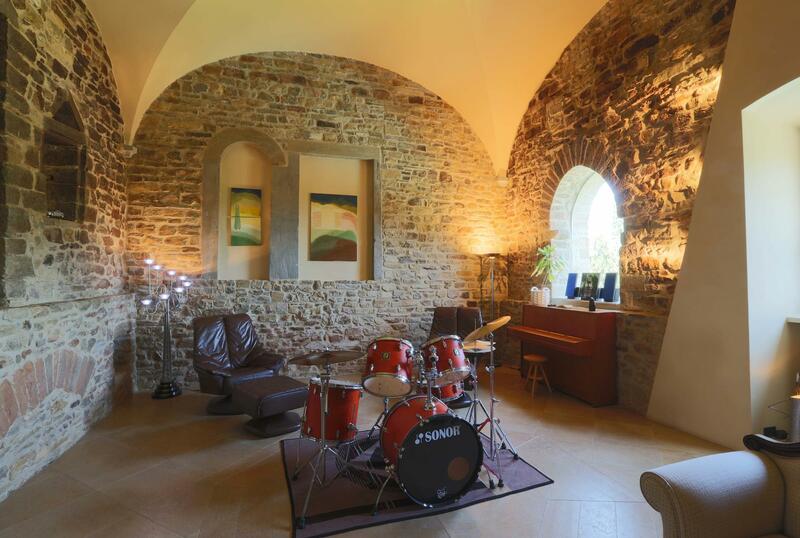 Villa Vitelli is a stunning 16th century residence located in the upper Tiber valley just outside of the pretty Umbrian market town of Citta di Castello. 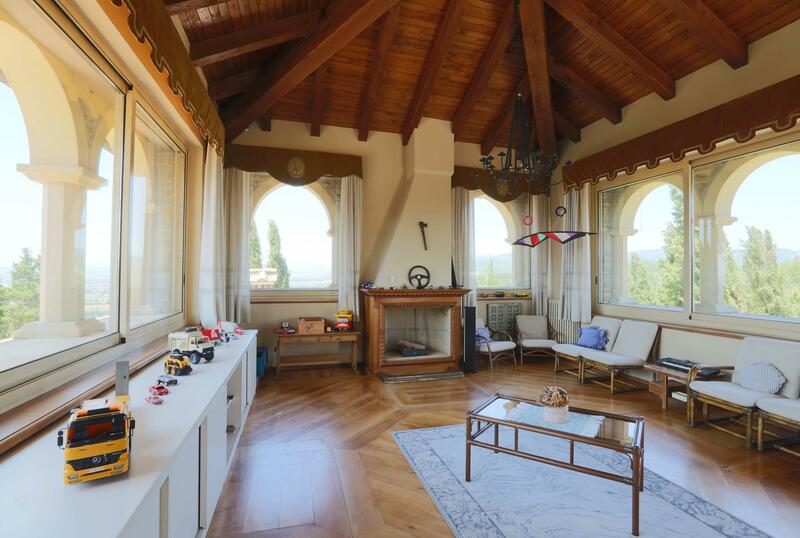 With an elevated position and a panoramic view, the villa is on two floors plus a watch-tower and is surrounded by nearly five hectares of private park with olive grove. 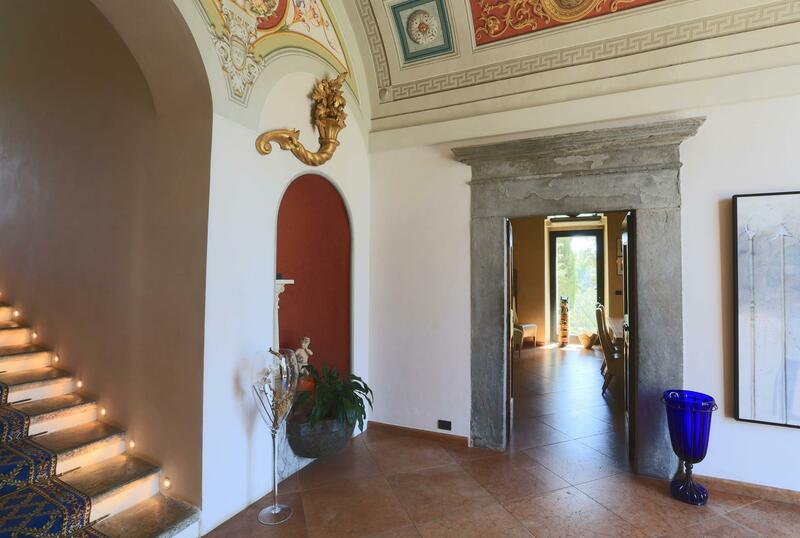 The ground floor comprises; entrance hall, dining room, kitchen, living room with fireplace, study, bedroom and bathroom with tub, 2 mezzanine bedrooms, a bathroom and walk-in closet. 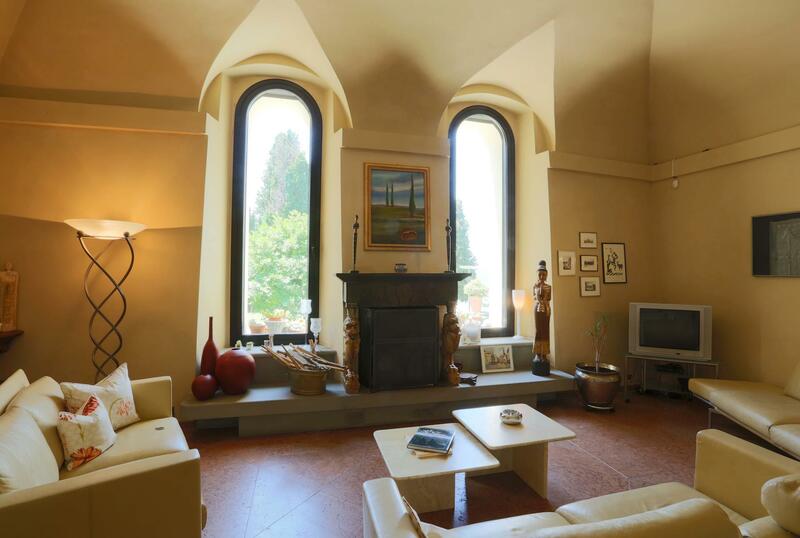 On the first floor: hall, study, library, bathroom, two bedrooms and a living room with fireplace. 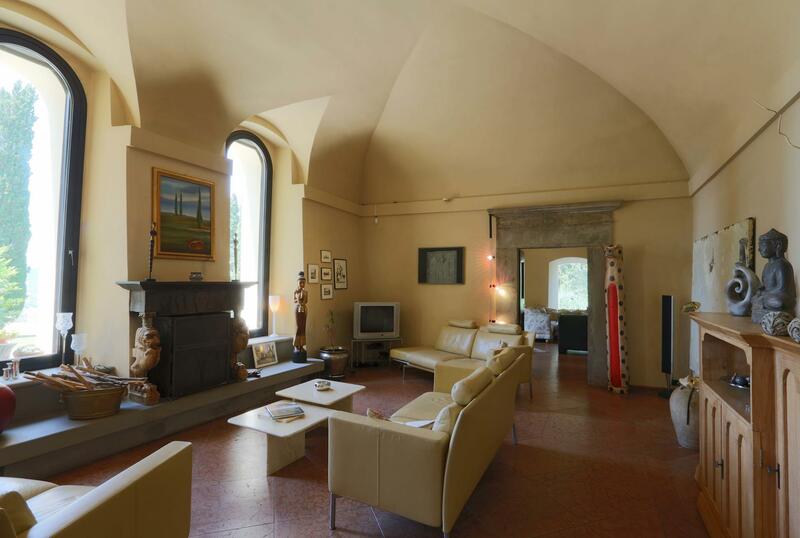 There is a fabulous additional room in the tower. 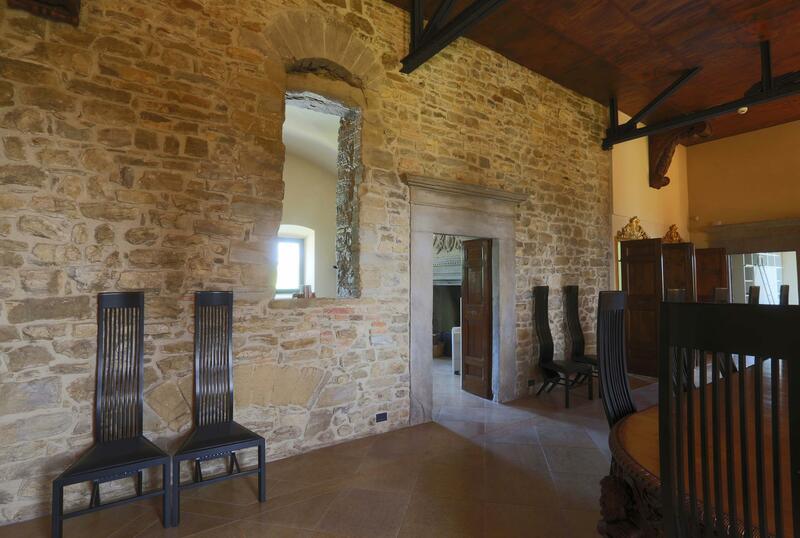 Also on the ground floor is the laundry room, boiler room, a studio for the staff and a garage. 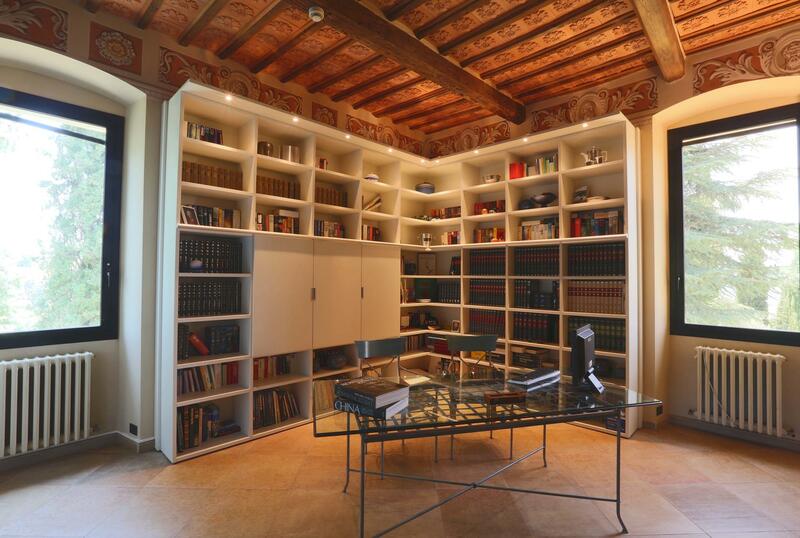 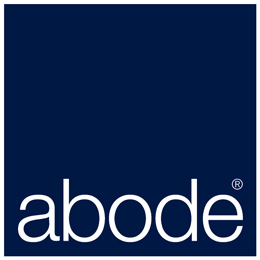 The dependence consists of 2 apartments; each complete with kitchen, living room, bathroom, bedroom and terrace. 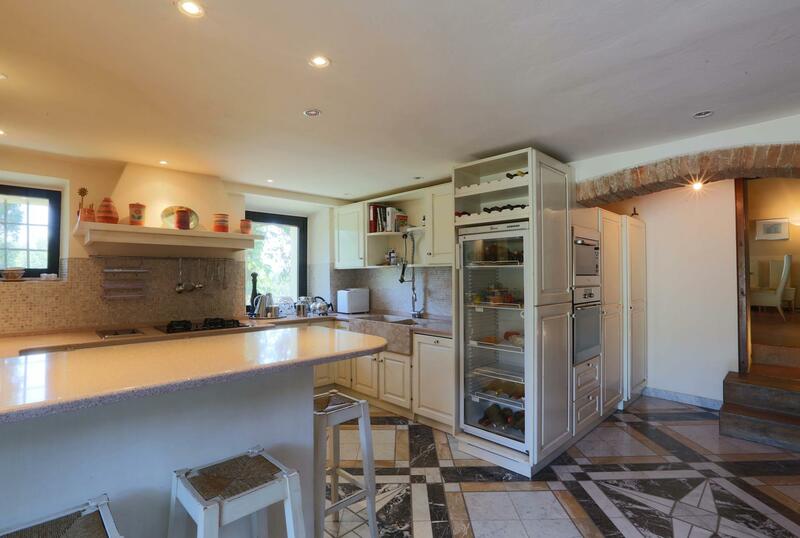 An attached garage provides storage space for gardening tools and equipment. 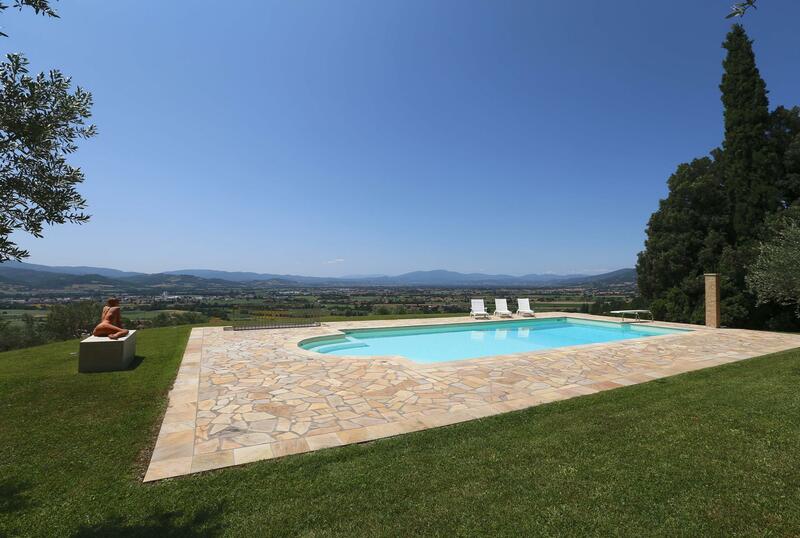 The property includes a swimming pool with jacuzzi, a solar thermal and photovoltaic system. 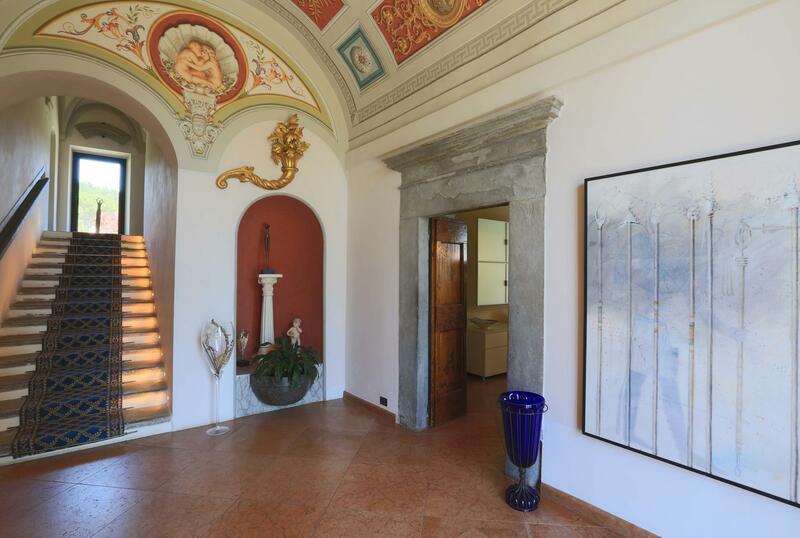 A meticulously restored villa in a panoramic yet convenient position.